The power cable wiring is a simple wiring project. The power connector is a Cinch Jones connector number S-404-CCT. Pins 13 & 15 are wired to the positive or +13.8VDC side, and pins 14 & 16 is wired to the negative or ground side of the power supply. When making the cable don't for get to put a 30 amp fuse holder in series with the positive lead. This will give you good power load protection even if the power supply has it own protection circuit or fuse. Make sure the wire or cable you use is at least a #12 or larger conductor to properly handle the current load. The TR7 requires a Hi-Z (high impedance) type microphone, either dynamic, crystal or ceramic type microphone elements will work fine. The microphone should have a good audio response between 300 and 5000hz with an output level of -48dB or better at 1000Hz. The microphone connector is wired with microphone audio lead to pin #1 and the shield side to pin #3 which is chassis ground. Transmitter keying lead goes to pin #2 with the other side of the switch is grounded to the chassis either through the microphone or as a separate lead connected to Pin #3. The TR7 microphone connector has an internal 1000 ohm resistor between pins #1 and #4. 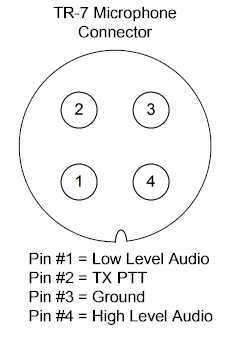 Pin #4 is used for high level audio inputs and should be used with amplified microphones over using pin #1. Pin #4 would also be used as the audio input from other devices such as the output from a tape recorder having high audio output. Some microphones also internally switch the microphone element with the transmitter keying switch. This method works fine for the PTT keying mode but will not work for VOX mode operation. If the microphone does switch the microphone element, to operate VOX mode that side of the switch the contacts must be shorted together or bypassed to allow the microphone element to be active all the time for microphone audio to key the transmitter. 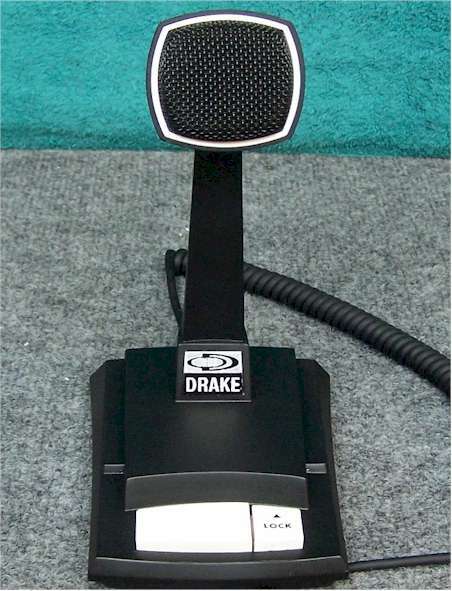 The Drake "7" Line matching Drake Model 7077 microphone, pictured on the left, was wired for VOX operation as shown the diagram above. Most of the newer desk microphones available today have a switch on the bottom or inside to select whether the microphone element is switched on not. The four large Cinch Jones plugs across the back of the transceiver accommodate various accessories for the radio. The pin-out connections of each plug is listed in the manual, but here I will discuss a few other options to consider beyond the standard accessories. Starting with connector "J" this connector is the AC switch and control functions for the PS-7 matching Power Supply. For those not using the PS-7, pin #8 is used to key an external amplifier, this pin goes to ground, Pin 10, when the transmitter is keyed. On this connector, pin #9 is the ALC input for the external amplifier, ground is pin #10. The internal power switch comes out to pins #1 and #2, this can be used to switch any external power supply for the radio. Connector "K" supports the use for several station accessories. 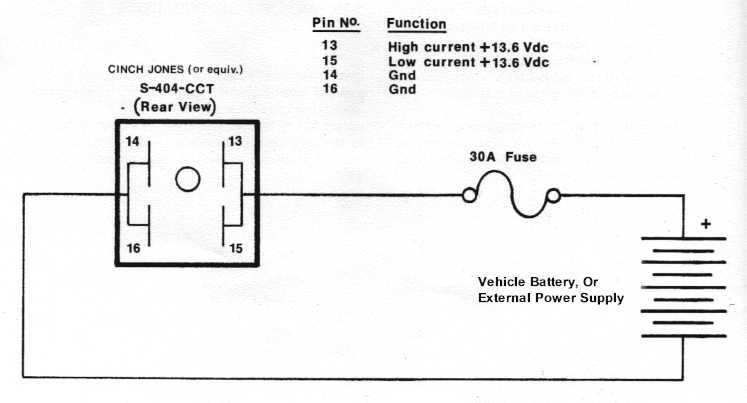 Some of the more useful functions include, switched +10VDC on transmit is found at pin #1, continuous +13.8VDC is found on pin #9, transmitter key is pin #10, (transmitter keyed when grounded), and pin #3 is chassis ground. On this connector pin #7 is the antenna input for the VLF bands, ground is pin #3. 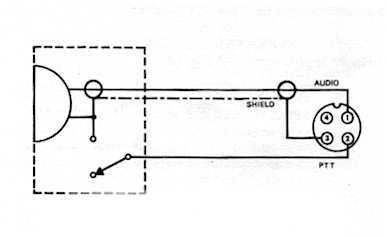 This is the antenna input for receiving frequencies below 1.5Mhz. As noted in the manual the SO-239 antenna connector does not support the VLF input to the receiver. Connector "L" is specific to the RV-7 remote VFO and only provides signal and switching functions for that accessory. Not much useful functions outside its intended use with the RV-7.